Whether realistic or fantastic, movies about space capture my interest. From Stanley Kubrick's ethereal 2001: A Space Odyssey, to the space opera adventures of George Lucas's original Star Wars trilogy, to Ron Howard's docudrama Apollo 13, there are few films set in space in which I couldn't find some redeeming value. 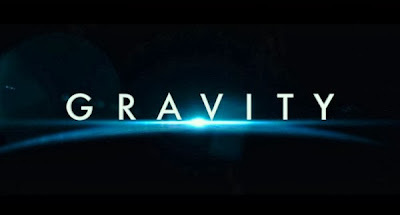 But Alfonso Cuarón's new film, Gravity, blazes new territory. Almost entirely set in space, Gravity is a stunning spectacle of breathtaking cinematography with dazzling special effects to rival the biggest blockbusters of the summer. I've never seen the earth look so big, space seem so harsh, or zero gravity feel so real. But as dazzling as they are, the effects don't dominate. They serve the story: a taut, edge-of-your-seat, nail-biter that is also an aesthetic, symbol-laden exploration of the human condition. Gravity centers around two characters and their fight for survival when disaster strikes. Matt Kowlasky (George Clooney) is a confident, buoyant veteran astronaut, accompanied by Dr. Ryan Stone (Sandra Bullock), a pensive medical engineer on her first mission in space. While Clooney's character seemed a bit too much like Danny Ocean to me, Bullock is at her finest portraying a woman both lost in space and also, to quote Walker Percy, "lost in the cosmos" itself. As the film unfolds, it becomes clear that her spinning and drifting mirrors her inner life following a personal tragedy. The crises she now faces push her to the brink physically and emotionally, but also force her to reckon with the meaning of existence, mortality, and life after death. Bullock conveys a broad spectrum of emotions, including breathless panic, numb grief, defiant courage, focused determination, and humble gratitude. I think rebirth in many ways is part of the journey for everybody, not only every human in Earth, but it's also the journey of great characters. Great characters in literature or in cinema . . . go through the stages of rebirth and of a new understanding. These images, along with the existential questions raised by the film, evoke a wide array of mythologies and theologies, as suggested by the icon of St. Christopher, patron saint of travelers, and later in the film, with a miniature statue of a smiling Buddha. The director clearly wants his audience to reflect on spirituality. In one of the most poignant scenes of the film, Dr. Stone expresses her sadness and fear in the looming face of death. "No one will mourn for me. No one will pray for my soul. Will you mourn for me? Will you pray for me? I mean I'd pray for myself, but I've never prayed—nobody ever taught me how." The film itself doesn't definitively answer the questions it provokes, but it probes some of our deepest ones and points in a general way to the varied mythologies of death and rebirth. As believers we can appreciate the aesthetic qualities of this film, with the confidence that (as Tolkien helped Lewis understand) myth became historical fact in the death and resurrection of Jesus Christ and true rebirth is found in union with him. This review was originally posted by The Gospel Coalition.